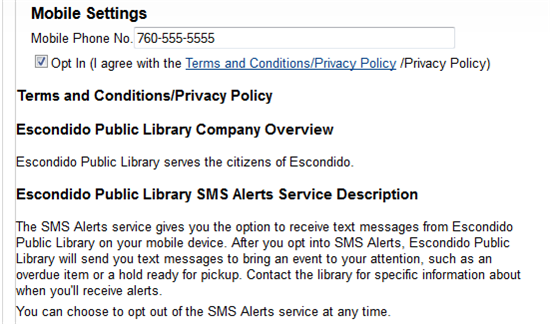 We are now able to provide you with the ability to receive text message alerts with pre-overdue, overdue, and holds information. 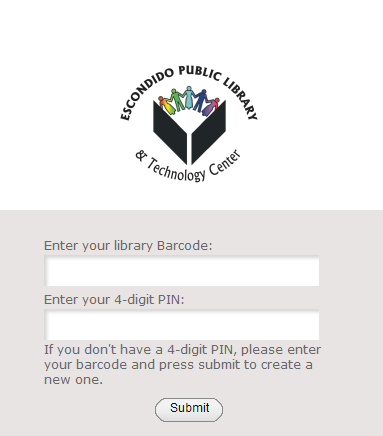 You will also be able to renew items right from your cell phone by replying "renew"! If you do not have a PIN, you will have the opportunity to create a PIN. 3. When you are logged in, Click on Modify Personal Information. You have now successfully signed up for Text Alerts. You may opt out by following these same steps, or by asking a staff member.